Metals broker S. J. Sherbanuk (left) and designer James Campbell (right) created a new home in Collingwood, Ontario, with old scrap. "Repurpose, refurbish, recycle" was the guiding principle for the project. Metals broker S. J. Sherbanuk (left) and designer James Campbell (right) created a new home in Collingwood, Ontario, with old scrap. "Repurpose, refurbish, recycle" was the guiding principle for the project. 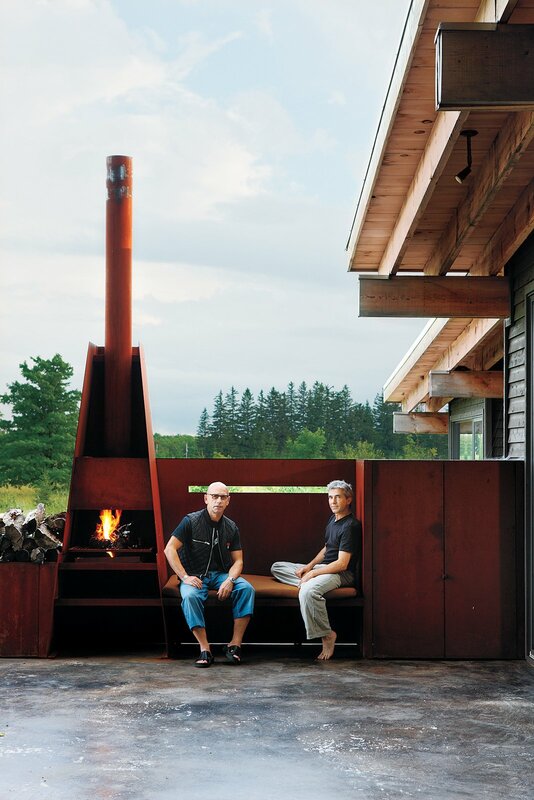 The modern, metal fireplace becomes a sculptural feature of an outdoor deck.